Mark from Lynnwood, Washington recently sent in pictures of how he completed his recent project that included our wood brackets. 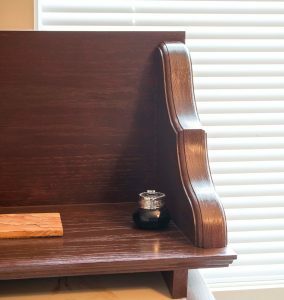 His intentions for the Ekena Millwork Stratford wood brackets were not the typical function, but he had his plans set. After purchasing the brackets online, he got to working on his project. 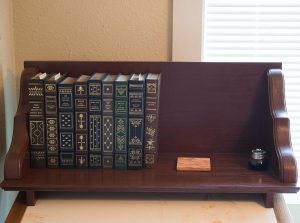 Stained and ready to be installed, Mark used the brackets for a shelf he designed to rest on the top edge of a slanted writing table to house his books. The brackets were made into beautiful bookends. First, each Ekena Millwork wood bracket is crafted in the USA and has the potential of supporting up to 150 lbs, if installed correctly. 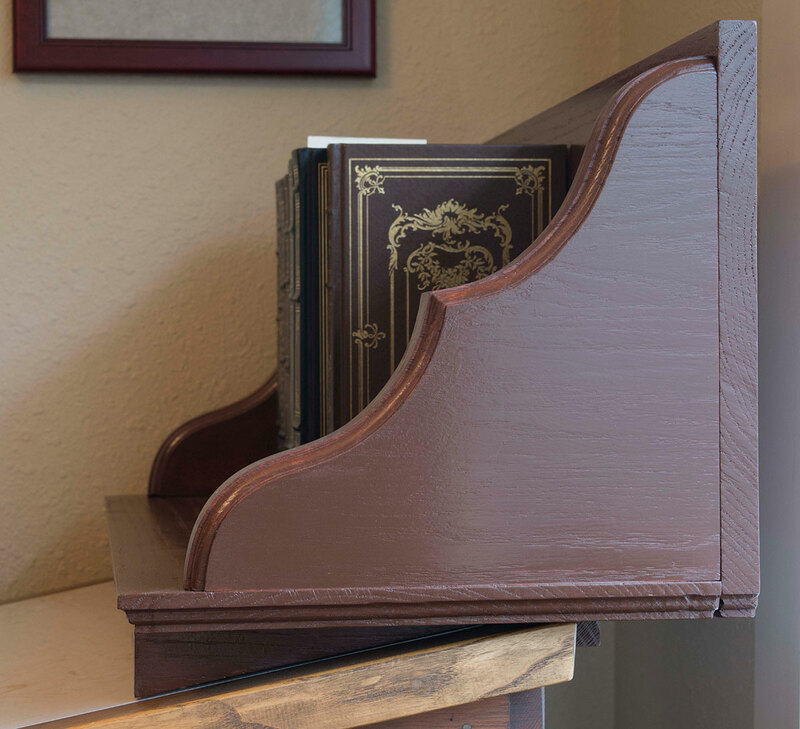 Wood brackets have traditionally been used on mantels, range hoods and countertop projects, but they are not limited to those projects. In addition, the brackets are available in a variety of wood species and sizes. The selection of brackets is quite large so picking the perfect one should not be an issue. Finally, the wood brackets usually ships in 24-72 hours, so the customer will receive their wood brackets in a timely manner. Feel free to check out the full collection of brackets via the link below.